New copy of Marvel Knights Spider-Man Volume 4: Wild Blue Yonder from Marvel Comics. US$10.90 which includes shipping with USPS Media Mail within the continental United States. Orders placed before 4PM EST ship same-day. Published: November 23, 2005, Original Cover Price: $14.99 1st printing. Hollywood heavyweight Reginald Hudlin (House Party, Boomerang) has already brought you his searing vision for Black Panther. Now, he's teaming up with red-hot artist Billy Tan (X-23) to shake up everyone's favorite web-slinger by turning Peter Parker's life upside down. He's got an incredible new pad (you won't believe where), a new job, and - although he doesn't know it - a new nemesis who's everything that Peter isn't. But first, Spider-Man's got to deal with a more pressing problem - a shape-shifting super-villain who's developed a nasty habit... and will do anything to feed it. 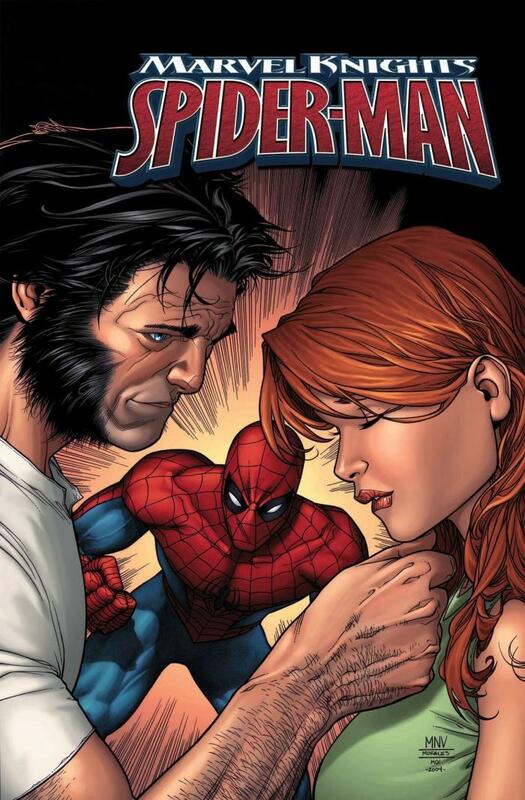 And wait - who's that hitting on Mary Jane!? Collects Marvel Knights Spider-Man #13-18.